"Prior to surgery, I had been in constant pain for 11 years. I tried everything then finally made the decision for surgery. Almost immediately 95% of my pain was gone! I wish I had known and done this years ago. Its been 6 weeks and I'm more active now than the previous 11 years. Staff is excellent, knowledgeable and extremely nice." Before I came to Spine Nevada, I was booked 3 times for an MRI in 2 hospitals with closed MRI. I got claustrophobic and the last option was for them to sedate me. A friend of mine recommended Spine Nevada with an Open MRI. Best decision I have made without sedation necessary. All the staff provided excellent professional service especially Allison at the MRI room. Very comforting and compassionate Dr. McAuliffe and Sarah - both were very professional and made me relax so as not be feel anxious about the procedure. Highly recommended for people with claustrophobia. Best PT environment I’ve ever experienced and have done several here and in Texas. Especially appreciated the low noise level!! Staff very professional. Megan Worthen an excellent, knowledgeable PT!! Very professional staff, understood my problem and helped me out a great deal. I will recommend to my friends! Thais and her staff at Spine Nevada PT in Sparks are amazing! The care and professionalism is outstanding. I attended six weeks (15 visits) after 5 level neck fusion. I feel that I was attended to in every way. They listened to my concerns (aches and pains) and tailored my PT so it was gradual and helped me regain my strength and ease my pain. Thank you. I very much appreciate Torrey and his staff's attention to my physical therapy needs over the last six years. They have always worked thoroughly toward evaluating my condition and developing appropriate therapy. The attitude of the staff and the atmosphere of the department could not be more positive. The result is progress toward achieving my physical conditioning goals. Very good P.T. (Physical Therapy) Thais was really helpful in back treatment and exercises. The most professional crew I have ever worked with. Matt and Sam are fantastic and the results are amazing. I love coming here. It is so beautifully decorated and clean. Megan and her staff work with me with understanding and confidence. Hate to see my PT come to an end. Megan, Lety, Nicky and Chris, you are the best. Thank you for helping me. I have been coming to Spine Nevada since September 2017. After my first visit and several tests, it was clear that I would take a lot more visits and more physical therapy. I didn’t like the sound of physical therapy. It wasn’t music to my ears by any means. I had spent 12 years in unbearable pain with numerous attempts at physical therapy with none ever being beneficial. So not being thrilled about the thought of physical therapy I went ahead and scheduled my first PT appointment. Well on Tuesday September 19th was my first encounter with Matt my new physical therapist. I have to tell you that had to be one of the best days ever! Matt has been the most knowledgeable and helpful therapists i have ever encountered. I can’t imagine going anywhere else. I truly look forward to physical therapy twice a week. Matt and Sam are pretty amazing in my book. I’m doing things now I didn’t think I could do again. So thank you so much Spine Nevada. You are truly the definition of exceptional care. I will recommend Spine Nevada to everyone I know. Spine Nevada you rock! Megan has really helped me get through the process. I felt that she listened and changed the process as necessary. All staff has been great. My experience with Spine Nevada was excellent from start to finish. Kiersten Gregory, Physician Assistant, was always very patient and thorough with me and was so thoughtful in answering all of my questions. She was able to explain complex medical terms in ways that were easy for me to understand and she has such a delightful personality! Kudos also to her assistant, Jazmine, who was always very prompt in returning my calls and helping me out. Dr. Lynch took amazing care of me! He is exceptionally knowledgeable and bright. My surgery was flawless as is the very small scar I have. It is obvious that he not only has a lot of concern for his patients but he also has a genuine interest and focus on the culture he has created for his employees. I recommend the team at Spine Nevada wholeheartedly! I just got back from a two mile hike up in the mountains and I said to myself, "when I get back home I need to write how grateful I am to be back enjoying life and the active things I like to do most". After years of chronic back problems and pain I finally made the decision to do something about it. I really thought I just had to live with it - grin and bear it - but the pain became unbearable. I had met with many doctors over the years and when my primary care doctor referred me to Dr. Lynch I immediately felt comfortable and confident. I was not wrong. I had a major surgical procedure done by Dr. Lynch in January of 2017, and here it's July 2017 and I am back to hiking around the Sierras, riding my bike and doing all the things I couldn't do prior to the surgery because my back was such a mess. Dr. Lynch and his PA Josh Pfeifle continue to take great care of with me with expert followup. It sounds cliche but Dr. Lynch and his caring team have given me my life "back". I especially want to say that PA-C Josh Pfeifle has been a key element to my rapid recovery. He is both knowledgeable and caring and I am grateful to know him and have him looking out for me. The next time I see Jennifer Stroshine, APRN, I am going to look for the Angel Wings on her back! When I saw her about a month ago she knew just what was wrong with me … I was in so much pain I couldn’t think right. She told me what to expect and time frame I was working with. She was spot on! This meant I was able to go to work and function as a normal human. I also need to praise the receptionist that went above her duty to get me HELP that night. Your staff are a God send- Thank you! I'm so glad I came here. God bless you all! Very efficient doctor conversational, with educational information. I appreciate their knowledge. I am rather new patient of Dr. Maria Pirraglia at SpineNevada. She is my pain specialist and I have been so pleased with the level of her care, she is very clear in the assessment of my back issues, and it is also clear that she cares for her patients. I definitely recommend her to others with spinal pain. Staff was extremely polite and caring. Dr. Lynch was amazing, he was quick and efficient. Thank you all for the support and help. I was finally referred to SpineNevada and Dr. Lynch after 2 ½ years of severe pain and the headaches of poor medical assessment/treatment/pain management and insurance policy. SpineNevada, Dr. Lynch and the entire staff treated me with respect and went to lengths to ensure I was comfortable throughout my diagnosis and treatment process. SpineNevada has exceeded my expectations in every way. I always recommend SpineNevada to anyone with back pain. Torrey, Chris and Dustin did an outstanding job of bringing me back to my old self. They are very professional and really care about their patients. I recommend them to anyone needing help after surgery. I must admit my visit, the first time, I was a bit like a fish out of water. The Luxury of the waiting room was misleading. I would not have been more wrong. The seating is comfortable, the other amenities are all with the patient in mind. Every person, whether medical or clerical staff has been kind, compassionate & knowledgeable. Any problems have been Quickly addressed by very courteous staff. Makes the process of learning & healing easier. SpineNevada at Double R/Physical Therapy/ Surgery Center of Reno/ SpineNevada at Vista. Very professional - Friendly and always smiling. It's a pleasure to be treated at SpineNevada. Spine Nevada is amazing! I've been seeing seeing them for almost 10 years. They have given me my life back. My pain is managed and I'm able to live life without the constant back pain. They listen and care. Amanda Jones, PA-C has helped me so much! I feel like I owe her so much more than "Thank You", But Thank You! She always listens and cares. Rizza is also amazing. They seem like family! Dr. Perry and his team I met after consulting with 4 other surgeons and 3 other spine doctors. No one wanted to help me but Dr. Perry took my case and did an L3-4 lift and fusion... through a scar about 3 inches when other surgeons declined and wanted to do open surgery with an 8 inch cut. He did his best to save my very thick back muscles. I was left way better at a 70/30 shot to wellness and if my cervical and thoracic wasn't injured as well my life would be perfect compared to what I was when we met. His diligence, ethics and honesty are to me of highest regard. He tells you straight and his team doesn't waste any time in getting you better and for that I want to thank all of you - Jason and Dr. Perry of SpineNevada. So many people / doctors are different at their approach. Forever grateful. "Recently I consulted SpineNevada about back pain. At an initial visit with Kiersten Gregory, PA-C, we decided on an MRI. Following the MRI I had a second office visit, at which we agreed that my next step would be a sequence of physical therapy appointments. On September 13, 2016, I met with Megan Worthen, physical therapist. After evaluation she recommended home exercises and several weekly appointments: to monitor my condition and, as appropriate, to suggest changes in exercises. I saw her September 20 and 27, then October 4 and 18. At the last visit we agreed that I had improved sufficiently to continue on my own. Megan provided highly professional and extremely supportive physical therapy. From the start I felt confident that she understood my back pain and knew how to help, including what I could do on my own to improve matters. From week to week, she re-evaluated my condition and adjusted recommended home exercises to fit. I particularly appreciate Megan’s sensitive, caring approach. She clearly described my treatment and the purposes for each exercise, offering realistic and supportive explanations as well as the progress I could anticipate. Megan brought great skill to these sessions and helped me to become an active participant in my own treatment. Not only do I now feel better in an objective sense (virtually no physical discomfort) but I also feel better about myself. Megan helped me to learn how I can maintain and improve my physical health. Megan Worthen is valuable member of the SpineNevada team. I appreciate how she has helped me." "I was told that I needed back surgery. I chose Spine Nevada. Megan Worthen, PT, DPT is my Physical Therapist and I can't say how grateful I am. She carefully helped me and taught me home exercises to speed my recovery and give me mobility to allow me to conquer the pain that was stealing my life. Megan and Lisa are FANTASTIC!!" "I am more than grateful. My experience at Spine Nevada has been exceptional! My life was stopped by back pain. I knew about Spine Nevada through the High Fives Foundation. I did not have broken bones, nor was I paralyzed. I have been treated with care and kindness. The expertise of Megan Worthen PT, DPT has give me mobility and joy and I'm on my way back to full life again." "From my first phone call to Spine Nevada I have been treated professionally, kindly, and thoughtfully. I have been to three offices: Sparks on Vista, South Reno and the new South Reno office. Your staff is prepared to help. What a great time, the scheduling team is fantastic. They really help even under pressure. Everyone wants an appointment now, they do their best." Amanda Jones is an incredible provider. We have been on a fantastic yet grueling journey together the last 2 years. She has supported me getting of narcotics and xanex and I am now 6 months clean. She is caring, brave, tireless and genuinely awesome provider." Ken Schaefer, PA-C and Dr. Lynch, Here is my evaluation of the spinal procedure to-date. The almost instantaneous improvement in my gait is far beyond my wildest expectation. I no longer use a cane at home, and use one only sparingly when away. Long gone is the walker. My balance appears to be steadily trending toward normal which augments my walking. I intend to follow up with physical therapy as you prescribed I note that I seem to have a back ache in the morning if I am physically active. I assume this will pass as I experience further healing. A little massage by me seems to help. I owe Dr. Lynch a great deal for greatly enhancing my life and probably saving me from a wheelchair-bound life. Additionally, I thank you for all your help in bringing this result to fruition. The care that I received from the Spine Nevada healthcare staff was amazing. The professionalism, scheduling, timely appointments and patient - provider empathy and support was a great assurance to me on my path to back surgery recovery. Thanks for the support - you guys are great. "I came in not knowing what to expect, but the doctors and staff explained everything in detail so that I could clearly understand the procedure. Thank you so much for the information and for keeping me laughing. " "Very friendly staff and very helpful. Been able to see the doctor in less than a week. also the facility is very well equipped with necessary tests and devices. " "I loved, loved these wonderful people. Dr. Perry is great, he helped and he really cares! Dr. Pirraglia ran test and was very good telling me the unknown. And then there’s Ashley, a sweetie pie, with a great smile. " "Very thorough and excellent care. Looking forward to the next appointment. " "Dr. was very professional, patient, thorough, very detailed exam. Took time and explained all results - very clearly. " "I had a great visit with my new doctor, Dr. Pirraglia. She is very nice and knowledgeable. She helped me tremendously with my leg pain. Staff is awesome!!" “What a great experience meeting Dr. Pirraglia. Her thorough exam was simply great - marvelous. It has been years since I had been taken and shown such good care. More doctors like Dr. Pirraglia are needed. It has been years since I’ve been impressed by a doctor." Written by wife of patient Edward G.
Had an EMG from Dr. Pirraglia and left with a well informed and better understanding of what I'm dealing with. I give my appointment an A+. I have seen Dr. Murphy at Spine Nevada for well over a year. They are totally awesome, I won't go anywhere else. They are all about their patients. If you have questions Dr. Murphy or his assistant Maria will always find out (the answers). And the rest of their staff are equally amazing. They make you feel like you're the only patient in the office. I do tell family and friends how great they are. Awesome - All Staff that I have had contact with. Smiles and friendly. Thank you. I've been to many physical therapists and never once liked it until Thais (Mollet, PT, DPT) became my therapist. She's the best and I look forward to every appointment." I was referred to SpineNevada one year ago due to a very intense pain in my lower back. One year later I am almost 100% back to normal due to the care shown by Dr. Murphy and the Physical Therapists Thais Mollet, PT, DPT and Blaise, PT assistant. They were able to solve my problems without surgery and have trained me in the proper exercises to keep me strong and pain free in the future. For over four years, I have been a patient of Spine Nevada and their physical therapist, Thais Mollet. She is very insightful and has provided wonderful directive, which has resulted in my receiving proper treatment and diagnosis from my surgeon. The entire PT staff is well educated and thorough in their management of my therapy. I feel confident and supported as a result of my experience here. I started physical therapy with Autumn (Schweickert, PT, DPT) in November. I was having severe migraines about 3 days a week every week. I was taking a high amount of migraine medication but, it was making me so sick. Autumn worked with me for about 3 months. I was discharged from physical therapy with much improvement. I haven't had a migraine since December. Autumn and her aids Jasmine and Janine were amazing. I'm so happy to be off my medication, back in the gym, and just generally feeling great! Thanks ladies! Thank you Dr. Lynch and PA Olivarez. Thanks to you and the whole Spine Nevada team, I am now able to walk around Lake Virginia. Prior to my Laminotomy and XLIF, I couldn't even walk around the block without experiencing excruciating pain. I truly believe that you and your TEAM have performed a miracle. It is important to also recognize and express my appreciation to your Physical Therapy Team, notably Torrey and Chris. After each session with them, I always feel so much better after my workout. Before starting PT, I was unaware of obstacles in my everyday life. I can now walk up and down stairs, foot over foot. I no longer have foot cramps and I feel so much better overall. Autumn (Schweickert, PT, DPT): My Saving Grace - I started seeing Autumn originally to help me strengthen my core to preserve my lower back. I suffered 3 herniated discs and 2 annulus tears and after seeing several PT's who didn't know what an annulus tear was, I was feeling discouraged as my recovery was looking bleak. I had 4 epidurals within a year and although they helped, my goal was to find another route to getting some pain relief without seeking drugs or procedures. I was pleasantly surprised and intrigued to find Autumn, who knew exactly what I was talking about and knew exactly how to treat my injury. After seeing Autumn for a few months for my lower back, I started having symptoms in my traps, neck and scapula. The focus during my PT sessions had now completely changed direction and what I chalked up to as muscle pain, (from my job/working out) ended up being something much worse. Autumn immediately caught on to something not being right and encouraged me to have imaging done. Two weeks later, I had a two level ACDF. I started PT 4 weeks after surgery (3 days a week) and now that I am 4 months out, I feel better and stronger than I have in a long time. Autumn is not just a physical therapist. She is a smart, compassionate, caring, knowledgeable woman who is passionate about her job and thrives on seeing her patients get better and return to a fully functional lifestyle. What started out as physical therapy, turned in to something much more. I learned through her, that after years of training in a gym, I was strengthening weaknesses. I didn't have the proper trainer to tell me that my form wasn't correct and as a result, I have done permanent damage to my back. Because of Autumn's knowledge and patience with me, I now focus on my posture while working and my form while I'm in the gym or doing things around my house. In addition to Autumn's knowledge, I appreciate the fact that you see her personally every single visit and she does hands on work for muscle tightness, adjustments, etc. As a woman, it is comforting to see someone who specializes in women's health, knows the anatomy and really shows you that she cares. Spine Nevada is lucky to have Autumn. She is a HUGE asset! Your Physical Therapy department is awesome. They worked with me over several sessions to determine the best type of exercise and movement to relieve pain. Under Torrey's guidance, they revisited my records, devised different exercises and worked with my entire body to determine what worked best for me - personal, in-depth attention I have never received before in physical therapy. The end result is reduced pain. I am so grateful and have renewed hope for an active future. Thank you to everyone at Spine Nevada especially Dr. Lynch and Kenneth Schaefer. I know that a lot of people wouldn't say they had a wonderful experience with any surgery. But, I must say, mine went so well. Very little pain and recovery time was very quick. Five years before I had almost the same surgery (different doctor) and not as involved. This time it was so much better. I am a fairly active 65 yr old outdoors type person. My comfort zone for work or play was becoming limited, painful and worrisome. I was experiencing headaches, tingling going up my neck to top of my head. Neck pain was always present and at times exhausting. Head rotation, left and right, was limited. I would often rest or hold my head up with my hands. I was experiencing periodic vertigo problems that seemed to be associated to neck issues. It was also indicated that due to the severity of my neck condition, I was a prime candidate to become paralyzed should I fall or receive a blow to neck area. A four level neck fusion was recommended and completed by Dr Lynch. Initially I was afraid of this surgery but Dr Lynch's caring personality, confidence and professionalism were all the reassurance I needed to follow through with the surgery. At 4 hours post surgery, I was up walking with basically no pain. There was no voice loss. At 1.5 weeks I was not using pain pills. At 3 weeks I was able to do some light yard work around the house and taking long walks. I also started to drive my car and ride my motorcycle around town with better head rotation then prior years. At four months, my normal quality of life is restored and even better. I no longer rest or hold my head up with my hands. By the way, at six months, I have not experienced vertigo problems since surgery. Thank you Dr. Lynch. I have always enjoyed the office visits with you. I will miss you and your professional staff. I hope I see you around town once in a while. You are the best. After over 6 years of acute sciatica pain in both legs and after trying everything else (spinal decompression etc) I finally went to see Dr. Lynch. I could barely walk the day of my surgery. Post surgery I stood up and walked totally pain free within a couple of hours. I have had zero sciatica pain since surgery (3 months) and have been playing golf pain free for over a month!! I get a tingling in my shins periodically but that seems to be lessening with time. For anyone out there dealing in acute sciatica I highly recommend Dr. Lynch and his associates at SpineNevada. "I have been to many doctors for my back. This is the best place. I am always taken care of here at SpineNevada. The doctors are smart and I trust them all. The staff is always friendly and personal. Thank you." I want to thank you from the bottom of my heart for fixing my back. I’m so glad that I had the surgery. My back feels like I’m young again - no pain. You fixed it. It’s been quite a journey. I’m glad that you all were there for me." When I started physical therapy six weeks ago I was in constant crippling pain. The care and expertise of Blaise has really motivated me to work hard every time I’m here and at home. I am very grateful to have this lovely woman in my life." "I had a T11/12 XLIF performed Feb. 19, 2015 and all I can say is I wish I had had it done years earlier. I was trying all modalities before finally coming to the decision to see the people at Spine NV for their "minimally invasive" procedure. As soon as it had been done, my pain I had experienced for years was gone! Recovery has been a breeze and I still cannot believe that I am pain free in the T11/12! “I had been experiencing debilitating pain in my back and right leg for about a year. I didn't want surgery so I tried physical therapy. After only three sessions, my pain was alleviated, and I can walk, bend over, and ride my bicycle again. I have continued seeing SpineNevada physical therapists for several weeks to be sure that the pain didn't recur and I am very happy with the results. The staff are very competent and knowledgeable, and share their expertise without reservation. Surgery on my back (from a SpineNevada neurosurgeon) removed a bone spur from L4/5 and repaired a herniated disc at L4/5. This opened the spinal canal giving full relief of my sciatic nerve. Full recovery in 30 days. Amazing facility, professional, kind caring. Great bedside manners. I saw Amanda today. She was great! She listened attentively. She gave really good information and gave a thorough interview and inspection. She's a wonderful add to your very professional team. I truly can’t thank you enough for the help you gave me in my very painful time of need. You are a true blessing to me and my family. You stepped up to help when no one else did. I am so grateful and thankful that you didn’t just leave me in pain. Your office staff has been so amazing and I pray that many blessings come your way! Dear Dr. Lynch, It has been just over a year since you changed my life for the better. “Thank you” seems so inadequate compared to what I have gained. I am continually thankful that you chose to help me after I felt I should not continue with treatment from my former doctors. Because I truly do appreciate what you and your amazing staff have done for me, I recommend you to everyone — every chance I can. I am more than satisfied with my experience with SpineNevada. My surgery was a success, and I am so grateful to not have pain. All the SpineNevada people are great... from Dr. Lynch to Ken and the office staff. I want to specially mention Torrey and Chris for the fantastic physical therapy they provided for me. I have been a patient at SpineNevada for almost 5 years. I love this place. They take great care of me and always listen. They have been able to reduce my severe pain thru the dorsal column stimulator and medications. Without my implant, I would not be a functioning wife and mommy. Also because of the implant my narcotic intake is lower. Thank you SpineNevada for giving me my life back! I am pleased to be rid of my middle back pain. I was miserable, waking up every night and icing my back and praying for sleep. Thanks to treatment at SpineNevada, I am completely free of pain. It is a miracle, and I sincerely thank them. I have had a very positive experience with Dr. Lynch and a SpineNevada Physician Assistant. I have had two successful back surgeries and one successful neck surgery. Since seeing the PA-C for my she has been able to control my pain level effectively. I really appreciate everything SpineNevada does for me. Everyone is always very friendly and accommodates my needs. I recommend people come here for all their spine needs. Great job to the staff! After Minimally Invasive Laminotomy and Neck Surgery, I am completely pain free – how great after 10 years of pain. Thanks Dr. Lynch and crew! I went to Dr. James Lynch back in August with severe sciatic pain in my right leg. For the prior six months I had been doing physical therapy and exercises to strengthen my core. None of that seemed to help. Dr. Lynch explained to me what he could do for me with surgery. I had surgery and was out of work for only two weeks. Not only did my sciatic pain go away, but my lower back pain that I have had for many years is gone. It is a great feeling to be pain free and medication free. It is over three months later now and still no pain. Thank you, Dr. Lynch! My experience with SpineNevada has always been amazing! The SpineNevada PA-C and Erin have been taking care of me for a while now and they are super! The physician assistant has gotten my neck pain to almost completely gone. She was great with the trigger point injection. She has also played with my pain medications which has been awesome – I am taking less Norco and still have less pain. She listens and cares! I feel amazing! Erin is always so good about getting my refills done timely and calling to let me know she has things ready. I am happy with my care. I don’t feel helplessly in pain 24/7. P.S. My Dorsal Column Stimulator is amazing!! I can’t imagine life without it! Thank you! In my mid-teens I was diagnosed with a degenerative disc at L5-S1. I had problems off and on throughout the years and by the time I was in my sixties, I had very little strength in my legs. I couldn’t get up and down without hanging onto something or using my hands on my thighs to push me up and to help me sit. I was in constant pain, muscle spasms, and charley horses mostly in my right calf. My regular doctor sent me to see Dr. Lynch at SpineNevada. Dr. Lynch explained everything to me along with any possible side effects and we collectively agreed to go ahead with surgery. On March 5th, 2014 I had a L5-S1 minimally invasive TLIF surgery and when I came out of surgery and came awake, I was expecting pain. There was no pain! On March 24th I started my therapy to strengthen my muscles again. I am doing great! I highly recommend SpineNevada and Dr. Lynch to anyone that is in back pain. It’s wonderful to have my life back and a spring in my step (not to mention my much improved personality). No more pain! Dr. Lynch and all of SpineNevada are very knowledgeable, compassionate, professionals, and literally, “Have your back". My experience at SpineNevada has been excellent. I feel that both Dr. Lynch and Ken Schafer, PA-C went above and beyond what is required to make me feel comfortable for my surgical procedure of minimally invasive bilateral L3-5 laminotomies. My pain has been relieved and I would highly recommend them and their entire office staff. I am still recuperating and can see progress every day. If physicians are rated on a scale of 1-5, Dr. Lynch is a 6. I highly recommend putting your confidence in Dr. Lynch. I was seen by Dr. Lynch and his assistant Josh Pfeifle, PA-C. Dr. Lynch performed back surgery in September 2013. My recovery was uneventful. After three months I was able to perform all regular duties of normal living. I was treated with respect and compassion by Dr. Lynch and his staff. I am very grateful to Dr. Lynch and his assistants because I have been without pain since my recovery. I highly recommend Dr. Lynch and his staff. On 8/30/2013 I walked into the office of Spine Nevada with severe pain in the neck, left trapezius, and left arm with weakness. I was diagnosed with a left C7 Radiculopathy. I rated the pain as 8 out of 10. It was at the point that I could not sit in a chair because it increased this pain. Back Pain is painful and irritating. I researched the medical field on options, got a first consultation and then reviewed Spine Nevada in Reno, NV and its doctors and their experience with Minimally Invasive Spine Conditions/Surgery. When walking in to the office I knew I had experience, qualified doctors in the medical field. 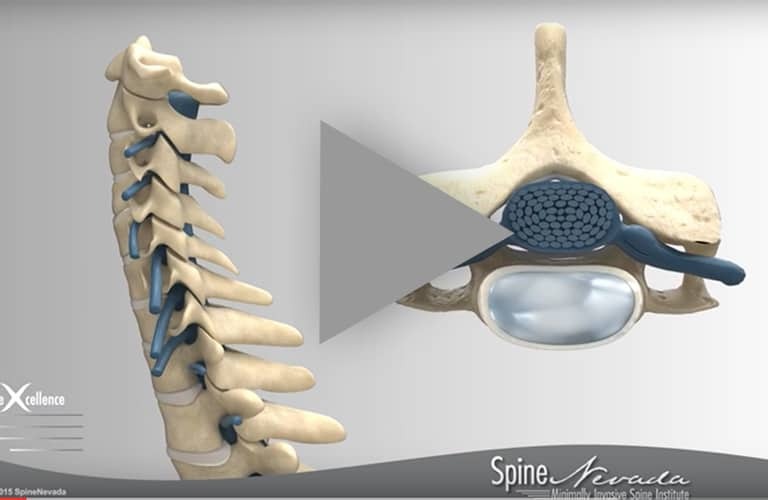 Dr. Lynch reviewed the MRI cervical spine CD and recommend a minimally invasive C6-7 ACDF. Surgery was the option to relieve this severe pain. I was scheduled for surgery at St. Mary's Hospital. The staff and assistants and hospitality made this short stay a comfortable experience. I was up and walking shortly after surgery with no pain. Upon my 6-week follow up visit we found the surgery to be successful. I now live without the pain with no side effects. Thank you to the Medical Staff at Spine Nevada and all others who assisted. I would give this experience a 10 and recommend to others who suffer from spine conditions and back pain. It’s been ten years since Dr. Lynch performed a minimally invasive microdiscectomy on me. Just wanted to pass along a tremendous THANKS! I am now retired from the US Postal Service and play golf four times a week. This could not have been possible without you. MANY MANY THANKS! I have been under the care of Dr. Perry of SpineNevada since July of 2013. At that time I was hospitalized due to a staph infection which had settled in T-8 thru T-12 of my spine. We all hoped that a strong regiment of infused antibiotics would solve the problem. Under Dr. Perry’s care it was determined that surgery was unavoidable if I wanted to retain the use of my legs and bodily functions. A very complex surgery was performed. It is now March of 2014 and the smiles have returned to everyone’s face, especially mine. I can walk, drive, and go to the gym. The road to recovery is long and challenging, but considering what could have been, I consider myself a very lucky man. I am thankful to Dr. Perry, his dedicated and thorough staff, and all those he chose to make sure my surgery was a success. Dr. Perry and his office staff have consistently maintained prompt and truly caring service. After years of back and neck pain, I was referred to Dr. Lynch and SpineNevada by my family physician. Throughout my healing process, they have been terrific in updating me with each step of the process, answering all questions, and corresponding with my family physician. My minimally invasive C5-C7 ACDF surgery went fantastic and my recover has been pain free. I believe that their skill and professionalism is the reason why I can’t say enough positive things about SpineNevada and Dr. Lynch. My name is Fred and the back surgery performed by Dr. Perry at SpineNevada for me is nothing less than miraculous. I am a self-employed farmer in the Honey Lake Valley. In the spring of 2013, I injured my back moving some brush. At the time I experienced pain when tying my shoes. By July I had sciatic pain down my left leg. Since the summer months are our busy time, I had to keep working despite the advice to rest. By August the sciatic pain was so severe I was sleeping on the floor and could only walk short distances. I found that I could drive a tractor but the rest of my duties fell on my wife, son and daughter. The end of October I felt my back pull again, within two days I was on the floor of our house unable to stand or sit in a chair. This is when I finally went to my family doctor. 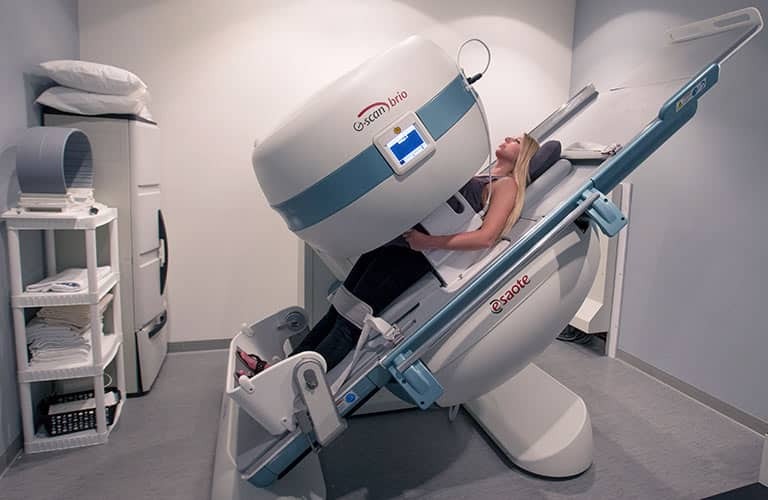 My pain was so severe I had to be put under in order to lay on the table for the MRI. The results showed the damage to the disc in the lumbar spine. My family doctor referred me to SpineNevada. On December 20th, Dr. Perry performed surgery on my spine. I am amazed at how the pain was relieved when I came out of surgery. I was able to walk for a couple of hours by ten days. At two weeks, I stopped all pain medication except for Ibuprofen. At three weeks I was working half days in the shop, By six weeks I had resumed most of my normal activities around the ranch. I have found that I sleep better than I have in years. Today I am still amazed by my mobility, thanks to SpineNevada and Dr. Perry. People that know me are amazed at how I have recovered. A man’s soul can be judged by the pride he puts in his work. Today I can stand on top of a mountain ‘cancer free’ not under it, thanks to Edward Perry, MD and Heather, my wife. They saved my life. I have been under the care of Dr. Lynch and Josh Pfeifle, PA-C for four years. Previous to that, I was under the care of an orthopedic surgeon. Including a two level lumbar fusion in 2000. The level of care provided by Dr. Lynch and Josh surpasses any other medical care I have ever received. Both take the time to explain my condition, treatment options and to answer any questions I may have. Their expertise and confidence assure me I have chosen the best there is. I don’t trust easily, but I trust Dr. Lynch and Josh 100%. December 10, 2013, Dr. Lynch performed a minimally invasive L3-4 XLIF on the level above the previous fusion. Within two months, I was able to walk 2 miles easily. I am now three months out from surgery and have no pain from that level. Thank you Dr. Lynch, Josh, and Ken who assisted with my surgery and took care of me in the hospital. You’re a step above the rest. I am a wild land firefighter and used to be a very active person for the last 25 years. After injuring my back about nine years ago, I have had sciatica and had to have epidurals every three years. The local doctors were at a loss for an explanation. After meeting Dr. Lynch, he knew exactly what was wrong. I had minimally invasive L5-S1 microdiscectomy / laminotomy surgery. After eight weeks, I feel great! I am looking forward to going back to fighting fires tomorrow and doing triathlons again this fall. Rated 10 out of 10! Before seeing Dr. Perry, my life and productivity as a teacher was impacted from my symptoms. I really became worried when my leg progressively became more numb and weaker. My sleep was hindered from the shocking pain and dull ache in my leg, hip, and back. Upon completion of x-rays and MRIs, Dr. Perry concluded a minimally invasive L5-S1 diskectomy surgery could help. And that it did! The tingling numb feeling in my leg is gone and I have regained the strength in my leg. I have no more pain in my buttocks or leg. Dr. Perry was very skilled and devoted to my improvement. He completed a difficult task during surgery in reaching the area of the disk that was causing the problem. I came out of surgery with a small incision on my back and a positive and promising recovery. Dr. Perry and SpineNevada changed my life. I am fortunate to live equally in two extremely different areas of our Country – the Reno/Lake Tahoe area and the Houston/Lower Texas Gulf coast area. Since Houston is home to the largest medical complex in the world, I had a large selection of neurosurgeons available. However, after researching multiple surgeons in Houston and Reno and interviewing several, I chose Dr. Edward Perry at SpineNevada. The minimally invasive surgical experience for bilateral L3-L5 laminectomies was exceptional and my post-op pain level and recovery time were both minimal. I also had a very good experience with Dr. Perry’s surgical team and the SpineNevada staff, especially their physical therapy department. It is a pleasure and a relief to be able to offer a very positive testimonial for Dr. Perry and SpineNevada. I have had a cervical fusion and a lumbar laminectomy, and I am so happy that I had these procedures. I gained movement in my neck I hadn't had for years. I have had nothing but positive results with Dr. Lynch, and I have recommended him to a number of friends and co-workers that have had procedures and they also are happy with their results. I remember waking up without pain that I didn't even realize I had because I was so used to being in pain. Allen was diagnosed with lumbar stenosis, lumbar spondylolisthesis and neurogenic claudication. Dr. Edward Perry performed a minimally invasive bilateral laminectomy to relieve his spine condition. Allen went home the day after surgery to recover in the comfort of home. Only one week following surgery he was walking three miles! I can think no other way of to say this: Dr. Lynch is my savior, both physically and emotionally. I have been suffering from spine-related nerve pain for over 15 years. Even with a prior back surgery elsewhere, my lower back has steadily worsened, causing severe sciatica, loss of strength in both legs, atrophy of my left leg muscles — constant numbness in both legs, especially the toes and feet. Throughout this time, multiple doctors did nothing that helped. I was told the MRIs didn't show enough to act on and I needed to go to a neurologist. Therapy caused more pain. They prescribed pain medicine and basically made me feel like I was making it up and had to live with it. The whole process repeated. I was feeling hopeless. Finally at the limit of pain tolerance, I went back to my old neurosurgeon one last time. Again, I was told to go back to the neurologist. A week later the pain spiked and was so bad I was unable to walk. The neurosurgeon didn't move anything up - in fact the appointment with the neurologist had not even been made yet. That's when I was referred by Dr. Karen Stover to Dr. Lynch. My first appointment was scheduled five days later-on a Saturday. Right from the start I was comfortable. Dr. Lynch spent an hour with me. We went through the history and discussed my symptoms at length. He performed some simple physical tests that I had not received prior. He looked at an MRI from 3 years ago and saw immediately what the problem was. To confirm his observations, he scheduled a nerve test for the following week. (My other nerve test was scheduled for six weeks later). The nerve test confirmed the nerve damage that I had been feeling for years. Surgery was scheduled- again on a Saturday to allow it to happen as quickly as possible. I am now six weeks out from surgery. Disc removed, a cage put in, screws to support the structure and a significant amount of bone removed to allow the nerves to pass through without impinging- it was a major surgery. I expected months of recovery before I felt better. Instead, I already feel better than I have in almost 10 years. I am working to rebuild muscles, and that hurts of course, but the nerve pain is gone. The numbness is 80% gone. For the first time in years I believe I will make a full recovery. I look forward to no pain medicine; to sleeping through the night; to walking normally; to hiking- all because Dr. Lynch recognized the problem and acted immediately to solve it with skill and precision. I could not recommend Dr. Lynch with more enthusiasm. His surgical skill is matched by his personality - understanding, compassionate, thorough in explaining to a nervous patient all the procedures and potential dangers. However, I also need to recommend all of Spine Nevada. Follow-up was easy. The PAs are always available. The staff is awesome and the PT guys are wonderful. Anyone who has suffered the way I did, should take heart. If it is physically possible, Dr. Lynch will help you - in ways other neurosurgeons cannot. Torrey and Matt are the best!!! After recently having surgery and dealing with lower back pain, leg and foot numbness for years, they have patiently helped build back my strength and activity levels. I have been to many PTs over the past twelve years, and none of them got me to the point these guys have been able to in just two months. They know what they are doing and change up the routines so I am never bored - I even have to admit that I enjoy coming knowing I will be very sore after (a good sore). Thanks guys for showing me that I can still do the things I used to do. On January 2, 2013 had a very bad ski accident in which my L-1 spinal vertebra was shattered into many pieces. One piece was more than fifty percent pressing against my spinal cord. If the bone fragment had impacted my spinal cord, I would have been paralyzed or experienced loss of bodily functions. I was taken into Renown Emergency ward and my treatment was developed with Dr. James Lynch concerning my spinal cord. After the surgery, with the implanted titanium shock absorber device, I have not experienced any pain or problems with my back / spinal cord. My three follow-ups with his team were excellent. My opinion is Dr James Lynch did an excellent surgical procedure, this resulted in a very positive outcome to my back / spinal injury. I am now feeling great. I would highly recommend Dr James Lynch to anyone given his excellent spinal cord expertise and medical skills. I first met Dr. James Lynch and his extremely competent staff in 2008, after a referral for a partial cervical spinal cord compression and an assortment of lumbar spine problems. I was taking more narcotic pain meds than most humans could normally tolerate. January 2008, he performed a 2-level cervical fusion and for the first time in 20 years I woke up and did not have a headache. AMAZING! Read Karen's patient testimonial. I would like to express my heartfelt gratitude and thanks to Dr. Lynch and the entire staff at SpineNevada. On February 28, 2013, Dr. Lynch operated on my back and on Feb 29 I felt like a new man. The pain that I had was gone completely. I have never before experienced a more satisfying experience from an organization in my life. Again my heartfelt thanks and gratitude to SpineNevada. I was having severe lower back pain and was having numbness and pain down my left leg to my foot. I had gotten to the point where I couldn't even walk my dog around the block. I travel for a living and often in airports I walk from one gate to another sitting down at each till I could go on to the next. I recently moved from Truckee from the Bay area and was referred to Dr. Lynch by my doctor in Truckee. Dr. Lynch explained to me a procedure called ILIF, a procedure that had not been offered to me by the specialists I'd seen in the Bay area. I decided to go through with the procedure and now I'm hiking 3 to 4 miles in the mountains and have virtually no back pain. I am extremely grateful to Dr. Lynch for giving me my mobility back and eliminating my pain. I would and have recommended him to friends and to you. Due to compression between L-4 & L-5 , I was in intense pain especially along the Sciatic Nerve trunk. Dr. Lynch and the PA-C Josh were very attentive to my problem. Spine Nevada did a number of tests to be sure exactly where and how to do what was needed. I spent a short time in the surgery center then one over night stay. The pain is subsiding nicely and will soon be back to normal everyday activities. Dr. Lynch and SpineNevada saved my life. SpineNevada has not only the scientific medical expertise to repair catastrophic spinal injuries. They also have the sympathy, understanding and sensitivity to make patients and their families feel confident that SpineNevada can do the job and that patients can have the best outcomes with their surgery or medical problems. In addition, the SpineNevada team has excellent follow up. My doctor came to check on me frequently after my surgery. Dr. Lynch especially took the time to see me and also call my family to explain every question. I recommend SpineNevada and recommend Dr. Lynch to others. It has been 8 weeks since I had 3 discs in my neck fused. Since the first meeting with Dr. Lynch I have been very impressed with him and his staff. They are all very nice and friendly and always willing to help with whatever you need! My surgery went very well and Dr. Lynch did an excellent job! I have had no trouble at all and feel 100% better!!! I would and have recommended Dr. Lynch to my friends who are having troubles!!! Dr. Lynch has a great PA in Ken Schaefer. He is very professional and very nice and understanding to all your needs and questions. Overall I had a great experience with Spine Nevada and highly recommend it to anyone who is having a spinal problem. See you on the bike trail! Dr. Lynch and staff: I started coming to SpineNevada in 2011, Dr. Lynch performed surgery to correct my neck condition. My recovery was excellent. Then in 2012, Dr. Lynch performed a surgery to help my back and in a very short period of time, I'm in excellent condition. All nerves have returned in my neck and I have no problems. I have no more numbness in my legs and no back pain also. If I could, I would give Dr. Lynch a 100%. Dr. Lynch and his people treated me very professionally. They were very pleasant. My surgery was successful and I was treated post-haste when I required to have some pain relief. My calls were returned promptly. My overall experience was very satisfying and I would definitely recommend Dr. Lynch and his people to anyone who was suffering ailments like mine. Dr. Lynch and Josh, his PA-C, were both knowledgeable, answered all questions and prepared me for my surgery. The surgery was successful in that I had it in the morning and by that afternoon I had no more weakness or numbness in my arms and my hand grip was already stronger. By following the post-op instructions, I have progressed as expected and explained to me by Dr. Lynch and Joe. My experience was awesome, if I had known how good I would feel after having an ACDF, I would have done it 6 years ago. I have no shoulder nor neck pain, the constant burning and aching I was living with was greatly affecting my life. I am so grateful to have been healed. Thank you so much Dr. Lynch. Two years ago I was in a major motorcycle accident. After suffering with headaches, neck pain, numbness and weakness in my right hand after seeing several doctors I was fortunate enough to learn about Dr. Lynch. Dr. Lynch recommended surgery and even though I was hesitant and nervous I opted to have the procedure done, an ACDF at C5-6. From the very moment I awoke from surgery I felt better. I have not had one headache since the surgery. I haven't had any numbness and my right hand is strong again. Five weeks post op I was on the bike with my husband and we traveled almost 2000 miles in 9 days. I am amazed by how normal I feel. I thought my accident would affect me the rest of my life. I am so glad I was wrong. Thank you Dr. Lynch for giving me back my active life. I had so much pain in my buttock’s and numbness down both legs before surgery, Dr. James Lynch did surgery on April 2, 2013, and I had relief immediately and was able to walk without pain and have been pain free since. Everyone in Dr. Lynch’s office have been very courteous and professional. Thanks for everything. Dr. Lynch found the reason for pain in my neck and back. He talked to me and my husband like we were intelligent human beings - explained everything. He did surgery on my neck and gave me shots in my lower back. The surgery was a great success and the shots were also. He was attentive and kind and thorough. Between Dr Lynch & the staff of their offices, I feel secure in their medical treatment and concerns. My experience with SpineNevada and Dr. Lynch was a true blessing. From the initial consultation through the post surgery appointments every interaction was on time, professional and provided me with the utmost confidence. The result of my surgery has been truly an immense improvement in my quality of life. I do not hesitate to recommend Dr. Lynch and SpineNevada to anyone who has back problems. I only regret not seeing them sooner. I originally sought treatment from a large clinic here in Reno for severe lower back pain. The doctor I saw there spent a short period of time with me in my examination and diagnosed spinal stenosis in three discs and prescribed surgery. I took to the Internet in search of another spine surgeon and came upon Spine Nevada and Dr. Lynch. I was very impressed with his training in the field. On my visit with Dr. Lynch which was very comprehensive he noticed symptoms of possible problems in my neck. An MRI of the neck was ordered and sure enough I was suffering from compression of C3-6 with one of them dangerously pressing my spinal cord. Dr. Lynch explained the seriousness of the problem and prescribed surgery for my neck prior to being able to help me with my back problem. With limited sick leave time from my job, I received the neck surgery on October 17, 2012. 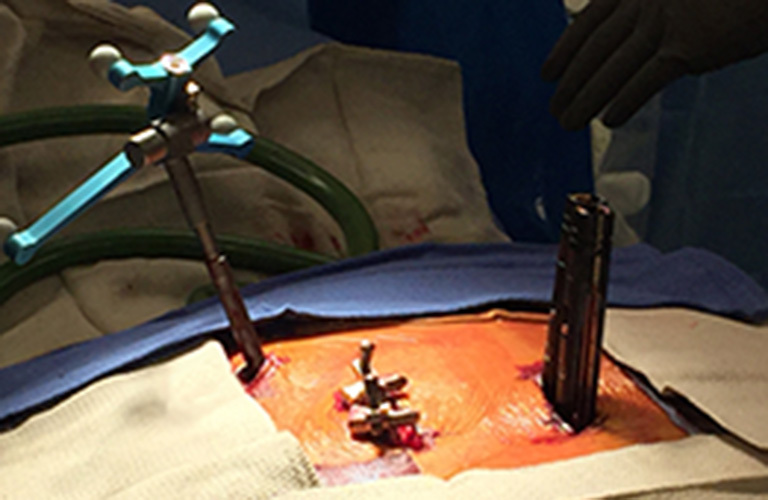 Dr. Lynch performed a minimally invasive three disc fusion with stabilization on the fourth disc. I suffered absolutely no discomfort other than a sore neck from the procedure, and in fact was eating a cheeseburger in the hospital for dinner that night! With such remarkable results we scheduled a three level laminectomy with a fusion at my L-5, S-1 discs on November 6th, 2012 just nineteen days after my neck surgery! As of today, February 11, 2013, I am currently receiving physical therapy from the Spine Nevada staff and frequent the gym regularly. The intense shooting pains I suffered from are completely gone. I plan to return to work at a very physical job on March 1, 2013. Without Dr. Lynch's thoroughness and expertise I no doubt would be walking around right now with a potential life threatening cervical problem. I have received nothing but professional and friendly treatment from the entire staff ~ including his Physician Assistants who are a critical part of the care given. I wholeheartedly recommend Spine Nevada to anyone looking to solve a painful back and neck problem! I suffered back pain from December 2008 to October 2012. Dr. Lynch and the SpineNevada staff were wonderful. I had surgery in Oct 2012 and everything turned out great. I'm scheduled for neck surgery in Feb 2013 and expect the same results. Ultimately Dr. James Lynch has my gratitude and respect. He merely did what he said he would and that my options were far more positive with SpineNevada. My initial reaction was denial, even though I would finally know what the issues were with my back. When Dr. Lynch spoke I was able to analyze why my back pain was constant, my left leg was numb, my sciatica was tingling, why I couldn't walk to the mailbox and back, why I couldn't stand without leaning. Even driving was an issue. Dr. Lynch and his staff have given me my independence! I can walk and enjoy daily activity. I see a bright future thanks to SpineNevada. I recently had surgery to repair and fuse several vertebrae in my neck. I would like to say that the professionalism, the knowledge and the outstanding results I received from SpineNevada was excellent and thorough down to the physical therapy department. Dr. Lynch and his staff (from the appointment staff, PA's to Dr. Lynch) were efficient. More importantly, I feel my neck surgery was a success in helping my mobility, comfort and overall health. I would recommend SpineNevada to anyone in any state in the whole country. Thank you! Dr. Lynch, The only words I have are "Thank You." But it just doesn't seem like enough for what you have done! You sir have changed my life. Being pain free for the first time in over 15 years brings tears to my eyes. You sir are a miracle worker even after what seemed to be the longest day of my life — Surgery Day! Your dedication and compassion will make you my hero always. I am a 53 year old woman that has battled moderate to severe back pain for over 15 years. But after visiting Spine Nevada over the last year and having the recommended procedures I have my life back. On Oct 9, 2012, Dr Lynch preformed a TLIF at L4/5 to LS/s1 and from the time I awoke after this major procedure to present day I have had no back pain. To be completely pain free is a miracle to me. I have so much respect, admiration and gratitude for Dr. James Lynch for giving me a pain free life again. Granted none of the process or procedures were easy but with a positive attitude and complete faith in Dr. Lynch at Spine Nevada I have accomplished what I thought was impossible. In just under 5 months I have been able to resume an active lifestyle and return to the biggest passion I have in Life ..... PHOTOGRAPHY. For years my cameras were left untouched because of the severe back pain and lack of mobility. But thanks to Dr Lynch's Dedication, meticulous skills and passion for his profession I have a new found love for a PAIN-FREE life! Words can never express or Repay you Dr. Lynch for this wonderful gift you have given me. THANK-YOU! I was suffering from leg pain for over a year. I found out a bulging disc was causing this problem. I tried everything I could think of to treat this: heat, ice, rest, exercise, physical therapy. None of this helped. Finally, I had back surgery by Dr. Lynch and within a month my pain was gone. Thanks Dr. Lynch. I found Spine Nevada to be full of very kind, friendly professionals. I have seen Joe and Josh, Physician Assistants, and they both were very informative about my condition, L-3-L5 S1. They, as well as Dr. Lynch, never let me leave without making sure that I understood everything and had all of my questions answered. The office staff was professional, helpful and friendly. I was pleased that, after every visit, I received a copy of their dictated notes about that visit. I had a laminectomy six weeks ago and I am pain free, unless I totally over do it. I am so happy that my primary care doctor referred me to Spine Nevada. Thanks to all of you! Jessica Evans is amazing! She always returns my calls even on very busy Mondays. She is always helpful and makes me feel validated. I love her "to the point" approach she doesn't mix words and I think that is important in her line of work. I love coming to my appointments because of your great staff and medical staff. Thank you! After over 20 years of lower back and right leg pain I am nearly pain free. Before my laminectomy with fusion surgery I was unable to walk or stand for more than 5 to 10 minutes at a time without severe pain. I am only 4 months out of surgery and can walk as far as I wish pain free. It is like a new world is open to me. Dr. Lynch and his staff were consummate professionals from the start to finish. They helped me prepare (I was up to 500 sit ups a day prior to surgery), anticipate what to expect during and after surgery and give caring thoughtful advise during my recovery. I would highly recommend SpineNevada to anyone who qualifies for back surgery and I thank them very much. On May 27, 2011, I went to SpineNevada barely able to walk. I not only was in pain, but my feet went to sleep making me unsteady walking. I met with Joseph Olivarez who reviewed my MRI with me. He showed me on my MRI why I was having problems and what Dr. James Lynch needed to do to correct my medical condition. Dr. Lynch operated on my back, Laminectomy of L-4 and L-5 vertebra, on June 7, 2011. My relief was immediate and my recovery has been amazing. Three weeks after the surgery I am walking two or more miles a day and feel like a new person. Dr. Lynch and his supporting 3 PA-Cs, as well as his entire staff at Spine Nevada are not only great at their jobs, they are all professional, supportive and genuinely caring people. Dr. Lynch is the most experienced spine doctor and his staff is great. This was my 3rd surgery, he fixed what the 1st surgery failed to do. I haven't felt much relief in 7 years. Dr. Lynch is very thorough before he operates. He's the best of the best, I would highly recommend him to anyone. We need more doctors like him. I can't thank him enough and his staff for doing such good work. Thanks Dr. Lynch and Ken, physician assistant. It's been 15 months since my surgery with Dr Lynch, it's changed my life and given it back to me. After a long 4 month battle, with the help of his staff, I was able to have my surgery and have never looked back. Dr Lynch and all of his staff were so helpful, above and beyond being advocates for me with my insurance co, my recovery was a breeze. I wish I could have had it years ago. Thank you Dr Lynch and all of your thoughtful staff, I will surely return if I need to. I want to tell you of my experiences with Spine Nevada and your staff. From the first time I walked (limped) into your offices I was treated with kindness and dignity. What a great bunch of people you have working with you. And as I explained my symptoms Joseph Olivarez, PA-C was extremely attentive and helpful. He explained my options and showed me just what he thought was going on inside my back. Based on that information and what I already knew about my back I was able to accept the suggested treatment. Kirsten was very helpful with our appointments and when my insurance provider denied my treatment at the very last moment, she was very helpful and comforting. I'm grateful that you took the time to contact those insurance providers to let them know that I really did need the surgery. And when you returned from your vacation to perform surgery on Dec. 26th I was amazed and very pleased. Had the procedure delayed until after Jan. 1st I would have had to begin the process all over again because my insurance was canceling my policy as of Dec 31. And even though you only seem to meet your patients just before surgery, your staff is so reassuring that I felt that you were there along side us the whole way. What a wonderful gift God has given you and placed into your heart and mind and hands. People sometimes complain about hospitals but my experiences at Renown Hospital were only positive. All my nurses were gentle and very attentive. Since the surgery I have gotten stronger and stronger and, praise God, I have no lower back pain. What a miracle! I have been seeing Ken since he visited me in the hospital and for post-op appointments. What a guy! He's informative and reassuring. He's answered all my questions and has me on my way to complete recovery. Well, I just wanted to write and say thank you. So, there it is... Thank You! May God bless you in ways you never imagined. With great thanks to God, to you, and your staff. After 10 years of constant pain in my lower back, I had been told over and over there was nothing that could be done. Dr. Lynch, Joseph and Josh gave me my life back. My back pain is gone. What more can I say. You guys are great. Thank you. From me and my family. Can't express enough gratitude for Dr. Lynch and staff. 1st surgery I'm looking forward to — he's very professional and knowledgeable as to what he's doing. I feel I've found the best doctor in the US. I just want my pain to go away and I truly believe he's heaven sent. I have 100% confidence after having second opinions from other doctors. Dr. Lynch knows what he's doing without a doubt. Thank you all again Dr. Lynch and staff. I have been a patient of SpineNevada for approximately 2 years. I believe I have been treated successfully. During my time as a patient I have undergone a process that has been thorough and successful. I have been extremely happy that I no longer have pain in my leg or back. Having gone through this process, I fully understand and appreciate each step that I went through - From my initial visit, MRI, X-Ray, physical therapy, epidural injection, EMG and finally surgery. I have been and continue to be extremely satisfied with SpineNevada and would encourage anyone with back or leg pain to seek treatment from SpineNevada. Dr. Lynch came highly recommended by my podiatrist (which is where I thought my problem was). Dr. Lynch immediately knew what the problem was and what was necessary to get the results I needed. The operation went great and all the staff was wonderful. My follow-ups with Josh Pfeifle have been great also. The whole experience was well worth it! I had my C5 thru C7 fused. The staff staff and Dr's are amazing. The experience has been very positive for a procedure that was very scary. Can't say enough about this place and will recommend Dr Lynch to anyone. After surgery in January I recently completed several months of Physical Therapy in your office. While completing your Patient Questionnaire I had time to reflect on my experience with Spine Nevada. I realized that filling out his form did not provide me with the means to amplify how pleased I am with the surgery you performed on my back and care I have received after my surgery. Six months ago I stepped into your office with simple instructions. I just wanted to be able to do the things I used to enjoy and to do so without excruciating pain. Today, I can say that my expectations have been exceeded. Thank you! I would like to make special note of Ken Schaefer, Thais Mollet, and Jennifer Mavis. Ken has demonstrated a deep concern for my well being and a positive, can-do approach to my treatment. Thais and Jennifer not only improved my physical capabilities, which reduced my pain level, they made me laugh while doing my P.T. I actually look forward to my P.T. visits. They, along with everyone on your staff have been exceptional in delivering professional and compassionate patient care. On February 25, 2011 Dr. Lynch performed a discectomy to relieve the pain in my lower back and right leg. Following a review of my MRI Dr. Lynch also recommended doing a foraminotomy at the vertebrae above and below the herniated disk to relieve nerve pressure that had built up following a previous surgery done in 1999. I was very appreciative of the attention to not only correcting the current problem but the suggestions for potentially easing future difficulty. This is the 'extra mile' that distinguishes Spine Nevada. My initial MRI review with Dr. Lynch was on February 18, 2011. Surgery was performed the following Friday! This is exceptional responsiveness in my experience when seeking attention to my back problems. It demonstrates a concern to relieve the pain and discomfort and a sense of urgency to get the problem corrected. Spine Nevada was very efficient in scheduling, follow up care, and was available at short notice when I needed a particularly stubborn stitch removed. I have considerable history dealing with a troublesome back that I regularly abuse as I like to stay active and have been stubborn in persisting with physical sports. Spine Nevada has been by far the most responsive and caring group. And, by the way, I am pain free, still pursuing age inappropriate activities, and owe the next few years of continuing physical activity to the surgery of Dr. Lynch and his able assistants. It is said that the greatest compliment is a referral to friends and I would not hesitate to recommend Spine Nevada. My wife, Michelle, and I wish to express our profound appreciation to you, your Spine Nevada team and your esteemed colleagues, Dr. Craig A. Hutchens, anesthesiologist, and Dr. Thomas Rembetski, for the ALIF L5-Sl surgery you performed on me Dec 9th, 2010. Your recognized expertise in this field of surgery and your ability to set me at ease were a tremendous part of the process. Dr. Rembetski's opening and closing skills were awesome. I also want to acknowledge Dr. James L. Christensen, Reno Orthopedic Clinic, for performing my "trigger finger" surgery immediately before the back surgery. Your willingness to schedule the surgeries together saved me from undergoing another anesthesiology not to mention the added stress. Additionally, I want to express my appreciation to the staff at Saint Mary's hospital for their great service and for the beautiful recovery room that was extended to me. I am aware it takes a team approach to make surgeries of this nature to be 100% successful. Please indulge me as I try to recognize everyone on a personal note: it starts with the pain management team of Dr. MD and Monica Castellano, MA. Your physician assistants were and still are invaluable; Mr. Ken Schaefer, attendant at the surgery, and Mr. James Durante, post op (thank you James for the assistance on the phone). You have an exceptional physical therapy team, they had to take me through several transitions before my body and my brain responded. Thanks so much for your patience and encouragement; Leslie H. Toulouse, MA, MPT, Rene Nicholas, RN, PTA and Karen Henke, Physical Therapy Aid. Last but not least, your administrative assistant, Clara Villacorta was always courteous and helpful, thank you Clara. Dr. Lynch, you and your team are the reason I have fully recovered in such a short time after forty years of suffering back pain! I am so glad and blessed that your combined talents were available in the Nevada / Tahoe region. Thank you all. Dear Dr. Lynch, Ken, James, Catalina, Office staff, especially Kristen — Thank you! Thank you for never giving up on the constant denials. Thank you for putting up with my persisting phone calls! Thank you for the cookies that my 4 year old had his share of! But most importantly Thank You for fixing me! I finally have my hope back. Something I lost a long time ago! I know that you all don't hear it enough, but I appreciate you all so much! So does my family. My 4 children everyday excitedly say "Mom! You're getting better!" And to you, I give the credit! I have spent about seven months dealing with doctors and tests to find out what my problem was. Dr. Lynch, and their PA's were awesome. If anyone is like me, looking for the best doctor out there, I would recommend SpineNevada. They took care of everything and answered all of my questions. They helped take care of all of my needs. The staff was very kind and helpful as well. Six weeks after my surgery I feel great, no pain, with full functionality and minimal recovery. I recommend Spine Nevada for anyone, from my age of 23 to the elderly. Thank you for a great job on my neck, woke up without pain for the first time in years, how great it is. Your professionalism and efficiency is triple A+. I could never find the words or thank you enough for a job well done. Ginger also found the wait in the hospital enjoyable and pleasant with the garden and music. Awesome. I wanted to take this opportunity to thank you and your staff for the excellent care you gave me regarding my L5-S1 fusion. I have been suffering with back and leg pain for over 25 years due in part to an injury I received while working. About 10 years ago I went to a local Orthopedic surgeon here in Las Vegas and had a cervical fusion completed at that time. The surgeon did a great job, but his office staff, personal demeanor, and hospital of choice could stand improvement. This time, I did my own research, and was able to find a couple of highly rated doctors that were performing what could be termed as Minimal Invasive Surgery. I had high hopes after watching videos and reading various reports that this would be something I would be eligible for. After completing an MRI and various x-rays, my wife and I made the trip from Vegas to Reno to meet with you and your team regarding the type of procedure I would be eligible for. We were both shocked and amazed at how much time you and your PA's spent with us. You explained everything in simple English and allowed us to ask as many questions as we wanted to get the answers we needed to make an informed decision. We never felt pressured and were confident that we had come to the right place. Unfortunately, I would need a full fusion since my disc was completely gone. I had the surgery in the afternoon and I was up the next day walking and taking stairs with out assistance. All of my related back and leg pain was gone. A couple of days later we drove back to Las Vegas without any problems. It's been eight weeks since my surgery and I'm back to my normal routine. That routine includes going to the gym everyday. In addition, I'm sleeping much better now that I'm not awakened by back and leg pain throughout the night. I just wish I would have found you years ago so I wouldn't have suffered for so long. You and your staff definitely took the worry out of making the decision to move forward. When I was referred to Dr. Lynch I was losing use of both my arms, I was out of work had no insurance and was filing for disability. I saw Dr. Lynch in October 2008 and had a surgery appointment for December 2008 before I left the office. They really worked with me because I had no insurance. I needed three vertebrae fused in my neck to stop the constant burning pain radiating down both my arms. It hurt so bad I wanted to cut my arms off to get away from the pain. I had no strength in my arms or my hands and was dropping everything. There was so much pain in my shoulder and upper arm, I couldn't even move my elbow away from my body to reach out for something. I couldn't raise my arms up over my-head. When I woke up from my surgery, I immediately had strength back in my hands and arms. I had no more pain radiating down my arms and I could raise my hands over my head without pain. It was amazing!!! Unfortunately that was not my only problem, I was also having low back and sciatica pain that became very severe. By the time my disability was approved, which came with insurance coverage, I could hardly take five or six steps without having to sit down. I couldn't even make it to the mailbox. I was in constant very extreme pain!! January 2011 had two vertebrae fused and L1 through L5 decompressed. I will not lie, the low back surgery was much harder to recover from than the neck surgery. Right now I am one year out of low back surgery and my pain is usually below a five, whereas before the pain scale didn't go high enough for the amount of pain I was feeling. I still have another four to six months to go for full recovery, but at this point I can go for walks, and go shopping without having to use the power carts. I am still seeing a physical medicine doctor to control my pain that is still present but, I am no longer on all the powerful pain therapy drugs which came along with many undesirable side effects. I can exercise and go for walks with friends now. I feel like I am back in life again. Thank you so much Dr. Lynch, you gave me my life back!!!!! Back pain and neck pain has never been a stranger to me. After suffering a neck injury in my early youth I have been plagued with stiff necks and pain. The back injuries are a result of 40 years of sports and construction work. Forever fearful from the horror stories I have heard about spine surgery, I have avoided the issue altogether. That was until I was involved in a rollover automobile accident that resulted in numbness, loss of strength, bladder problems and unrelenting pain. Again, I went about trying every kind of alternative method to surgery available. It was to no avail this time. My primary doctor, Dr. Thomas O'Gara, had been telling me about the amazing results his friends and patients were experiencing from Dr. James Lynch. I ignored his advice for almost a year when my symptoms got to the point that it was hard to function on a daily basis. Dr. O'Gara arranged an appointment with Spine Nevada and within a 5 month period I underwent two spine surgeries. The diagnosis was initiated with Dr. Bums whose Fellowship training was obvious from the start. Next it was Dr. Lynch to the rescue. The minimally invasive techniques that Dr. Lynch has mastered have literally given me my life back. I have been very faithful to continue the guidelines given to me regarding healing, fitness and physical therapy. My Physical Therapy is also with Spine Nevada where Thais Mollet is getting me stronger and healthier. I would also like to pay a special debt of gratitude to James, Catalina and all three Physician Assistants Ken, Josh and Joe. They have helped during business hours and on their own time when I needed help with pain control and medical advice. Spine Nevada is referred to as a Center of Excellence because Dr. James Lynch will settle for nothing less. Thank you Dr. Lynch for letting me return to a pain free and active lifestyle. I never could have done this without your dedication and compassion. Dear Dr. Lynch, I just recently read that you were selected as one of the 100 Best Spine Specialists in America", and the only one picked from Nevada. I wanted to congratulate you and tell you that, in my opinion, you belong as #1 of the list of 100! Because of your brains, personality, talent, skill and dedication, you are the very best. Way to go - you deserve every accolade that you receive. Thank you so much! You have literally given me my life back. Dr. Lynch, Ken, Joe, Jessica and James are all Amazing! Thank you guys for listening to me and believing in me. You guys have treated me with kindness and have gone above and beyond to get me out of pain. When my trial dorsal column stimulator was inserted I knew there was hope for me. I had 9 days of zero pain in 17 years. Between the combo of pain meds, support of staff and the permanent implant I feel great! This office is the best thing that has happened to me an my family. Rob at ST. Judes is the perfect person to have work with us patients. I have been in pain for 17 years and to be able to sleep and play with my 6 year old son without hurting is a miracle! I tell everyone I can and plaster it on Facebook that SpineNevada rocks! Thank you for giving me my life back. My family thanks you! My association with SpineNevada has been a positive experience. The staff has been professional and accommodating. The medical personnel has been exceptional, explaining and answering questions in very understandable terms, providing extra needed services when appropriate and showing genuine interest for my health related concerns. Thank you! The very best doctors group. I have had my life change, James ran me down to the E.R. when my blood pressure dropped. I was wheeled to the E.R. so fast. I will always be grateful. This has changed my attitude for doctors all together and this is a very positive compliment. I enjoy coming with Theresa because I know she's being well care for which relieves some of my stress. The waiting area is pleasant and clean. The staff is accommodating and polite. Everyone here is great, they are helpful and efficient. Look forward to great results. All of the staff is wonderful! I credit SpineNevada for giving my husband a better quality of life. The short course of steroids did the trick. I'm back to swimming 45 minutes and headed to Mexico next week. Thank you so much. I have had a very positive experience with the whole staff at SpineNevada. Dr. Lynch and Josh helped me to understand why my back and neck hurt so bad — I had loose hardware in my back. Since 2007, I have seen so many doctors, including doctors, but none took the time to explain my condition or how I could fix the issues and my pain. At SpineNevada, my doctor does not make me feel like I overtake my meds — he listens to what I have been through. I no longer feel like a drug addict. Even the physical therapist was great — she knows what I can handle while working with me. I am grateful that I am being seen by a very professional group of doctors. Even all the girls at the front desk are great and all the PA-Cs and their helpers. Everyone was very friendly and I was called back quickly. Dr. Burns arrival time to see me was super fast. He explained to me what was going on in a great way I could understand. He also helped me understand my treatment plan. Thank you SpineNevada. I came to Spine Nevada for my low back problem, a bulging disc. I was sent to the therapy clinic and I am so glad to say I have been pain free. Thanks to Thais and Jen I worked in physical therapy for 12 years and had it in the past. The exercises that they have taught me are nothing I’ve experienced or have seen. I can’t thank them enough that I have been taught to manage my pain. I have been to Spine Nevada for my neck four years ago and had such success with everything. Now I here for my back and can’t tell you how much the exercises and education has helped. I’m pain free and had no idea that the muscles in my legs could make a difference in my back with you strengthen them. I have been coming here when I need the PT. They are wonderful, conscious of my therapy and have given me good and professional care. They even give the therapy I can take home and continue with my care. It's nice to know that I am in good hands with my care. When and if I move back to Texas I will come back here for my care. The staff is caring and great. Thais and Jen have always been caring, respectful and nice. All great things for PT, I have gone to general physical therapy in Reno and they have done what others couldn't do. I'm no longer in pain 24/7 and have the chance to live a normal life again. I always have a great experience at the Sparks office! The office staff is wonderful. I love Collette and Chantel. They keep me in stitches! SpineNevada is consistent in its care of patient quality. I have been a patient for over 2 years and have not found any place better. Excellent PA. Great office, will use SpineNevada for my "back" needs. Friendly - very professional. I really enjoy coming to SpineNevada. They have great customer service! They always make me smile! Thank you so much. For giving me my life back! Without your consideration and your special treatment, I probably wouldn't be able to write this note of thanks. Each week, I continue to get stronger and am able to work and care for my loved ones. My coworkers and friends ask me who my doctor is, and I proudly tell them all about you. It was such a pleasure to see you at our "cave." Thank you for the great food and "show and tell." I am so thrilled to see your practice growing and expanding and will keep sending my patients to "the best." Thanks again for the iPad — I just love it! I just want to say "Thank - You" for being a very important key person in my pre and post surgical experience and care. Without people like you my recovery could not have been as successful. Thank you for your compassion and dedication for what you do. SpineNevada is lucky to have you on staff. I want to thank you from the bottom of my heart (and my family's heart) for figuring out what was wrong with my back, and what was causing me such horrible, excruciating pain following my L4-5 fusion done elsewhere. I really wish all doctors and surgeons were as proficient as you are. You and your staff have proven to be #1 in my book. I still can't believe what a great job you did fixing the pain in my back. Thanks again. I can't thank you enough for all your do. You have all gone above and beyond the call of duty in your kindness and care for me in resolving my health issues. I am recovering well and want you all to know that I appreciate your patience with me as I am quite the squeaky wheel at times. Please know that your hard work does not go un-noticed. Yesterday I received a copy of the dictation note for my review. When I sat down to read over it, I felt the need to write you all and thank you. Each and every person I spoke to treated me with kindness and was so helpful! There isn't one thing I could complain about. I was very impressed with the care and understanding of my needs too. I didn't feel rushed and was able to have questions answered. All of you are wonderful people and wonderful doctors. Thank you for making my experience at SpineNevada a stress free one. I'm so glad to have been referred to you. My name is Shane. I am 32 years old and was diagnosed with Spondylolisthesis 12 years ago. I have seen multiple doctors and received countless treatments, physical therapies, injections, and 3 surgeries. Before my last surgery performed by Dr. Lynch in June, I was slowly receiving treatment by another doctor. I sought a second opinion from Dr. Lynch and received the correct treatment in a timely manner. I was always told that surgery was something to avoid at all costs, but in my experience surgery has been the only thing that has resolved my issues of pain, in fact the other modalities have only made the problems worse. Dr. Lynch without hesitation knew what treatment would fix the problem and did not hesitate to do it. For that I am forever grateful to him and his staff. Dr. Lynch was compassionate and worked quickly to resolve the issue for me. After receiving the correct diagnosis through the use of the EMG, after receiving an incorrect diagnosis through another doctor, my treatment was quick and easy. I would recommend Dr. Lynch to anyone. His bedside manner is one of the best I have seen with patients that deal with chronic pain. I am always treated very well here at SpineNevada. I like the care I get and the staff is great. Thank you! I would like to thank you and your staff for your courtesy in seeing me at your office yesterday. Had I seen you prior to my visit to Mayo Clinic, there is no doubt that I would have canceled my trip to Mayo. After seeing you, I realized that trip was a waste of time and money. I will continue my Physical Therapy and other physical activities. However, I am well aware that these are temporary fixes and that surgery ultimately is what I need to do. I have tried everything - acupuncture, physical therapy, epidurals, swimming, etc., etc. and they have offered only temporary relief. I have spoken to my family about you and your recommendations and they also endorse the surgery. I feel that had there not been this risk of Cauda Equina Syndrome, I could forgo the surgery and rely on therapy. However because of my age and the fact I live alone, I can't risk it. I just wanted to let you know that I am available for this procedure at your discretion as you are the only doctor I trust to do this. I prefer to wait until November for a second MRI and your decision based on what it reveals.